The new report Save Lives, Slow Down, published for National Road Safety Week (20-26 November), aims to debunks some popular myths and urges evidence-based solutions to save lives and prevent injuries. The report points out that a 5% reduction in average speed can result in a 30% reduction in the number of fatal traffic crashes, while 59% of all fatalities in Great Britain occur on country roads where limits are typically 60mph. In the foreword to the report, Adrian Walsh, director of charitable partnership RoadSafe, says: ‘If a 5% reduction in average speed can result in a 30% reduction in the number of fatal traffic crashes, it is hard to think of any other low-cost intervention that could deliver such a potentially huge reduction in human suffering and economic loss globally. Richard Owen, director of Road Safety Analysis, urged restraint ‘in the rush to introduce blanket 20mph limits’. 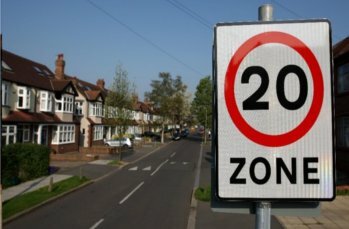 He said 20mph zones normally have lower average speeds already and achieve compliance and safety improvements through engineering and signing measures, while signed-only 20mph limits often see poor compliance. The report recognises resistance to the widespread use of speed humps and cameras in residential streets but acknowledges the effectiveness of average speed cameras strategically placed on higher speed roads. It includes a case study on the average speed camera scheme on the A9 in Scotland, which has resulted in a 50% reduction in all casualties and a 33% cut in fatalities. The report is based on a Speed Summit supported by PACTS, the Parliamentary Advisory Council for Transport Safety.